Photo: Adam Goldstein assumes CLIA chairman’s position on January 1. 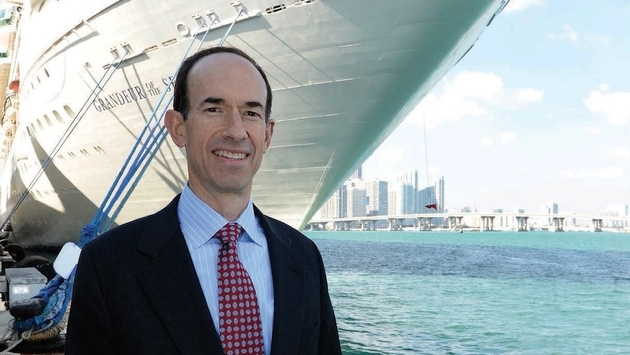 With the Cruise Lines International Association (CLIA)’s board of directors naming of Adam Goldstein as its chairman effective January 1, the cruise business’ largest trade group is effectively swapping one respected, longtime cruise official for another. Goldstein, president of Royal Caribbean Cruise Ltd. since 2007, replaces Howard Frank, chairman of Costa Crociere and CLIA chair since 2010. Frank is the venerable ex-Carnival Corp. vice chairman and COO who directed company fortunes for nearly two decades from 1998 through 2014. Like his predecessor, Goldstein won’t look to rock the boat, and will almost certainly seek to strengthen CLIA’s marketplace, communications and international expansion strategies currently underway. Indeed, CLIA’s 2014 marketing slogan is “One Industry, One Voice." “It’s been a privilege to work alongside Howard to achieve the board’s vision for the cruise industry’s association,” said Christine Duffy, CLIA’s president and CEO. 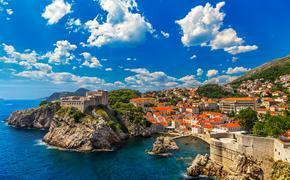 CLIA member cruise lines carried 21.3 million international passengers in 2013, an industry record. This week CLIA officials launched separate braches in southeast and north Asia, reflecting member lines’ aggressive expansion into one of cruising’s fastest-growing global markets. As in North America and Europe, CLIA officials in Asia will provide regulatory and legislative policy representation and coordination in those markets, while other CLIA staff will engage regional professionals in travel agent training, and also provide coordinated research and marketing communications. CLIA this week also announced a restructure of its Executive Partner Membership Program, establishing four core categories representing businesses, government and operational organizations aligned with CLIA-member cruise lines: ports and destinations; travel operators; technical and supply chain providers and business services providers. The program’s organizational dues structure was also revamped. Beginning in January CLIA will create “communities of interest” for each group while adding new events and other exclusive offerings, said Duffy. The new membership categories “provide more relevant opportunities for networking and brand awareness." “The new membership levels will offer clearly-defined levels of access to CLIA's network for each partner," Duffy said.